BARC Recruitment 2019: Bhabha Atomic Research Centre / www.barconlineexam.in is conducting recruitment processes to fill 1 vacancy. As of now, there is one recruitment drive going on for Gastroenterologist/ GI Surgeon Post. BARC Recruitment 2019 - Job notification for Gastroenterologist/ GI Surgeon Post in BARC, Mumbai, Maharashtra. Applications are invited by Bhabha Atomic Research Centre on or before 28 Dec 2019 for 1 vacancy. BARC Recruitment 2019 - Apply Online for 60 UDC & Steno Posts in BARC, Mumbai, Tarapur, Maharashtra, Visakhapatnam, Andhra Pradesh, Kolkata, West Bengal on Contract Basis. Online Applications are invited by Bhabha Atomic Research Centre from 31 Jan 2019 to 25 Feb 2019 for 60 vacancies. BARC Recruitment 2019 - Walk in for Scientific Assistant-B Post in BARC, Mumbai, Maharashtra on Ad hoc Basis. Candidates are invited by Bhabha Atomic Research Centre to attend walk-in-interview to be held on 11 Apr 2019 at 02:30 PM for 5 vacancies. BARC Recruitment 2019 - Walk in for Social Worker for Palliative Care Post in BARC, Mumbai, Maharashtra. Candidates are invited by Bhabha Atomic Research Centre to attend walk-in-interview to be held on 05 Apr 2019 10:00 AM. 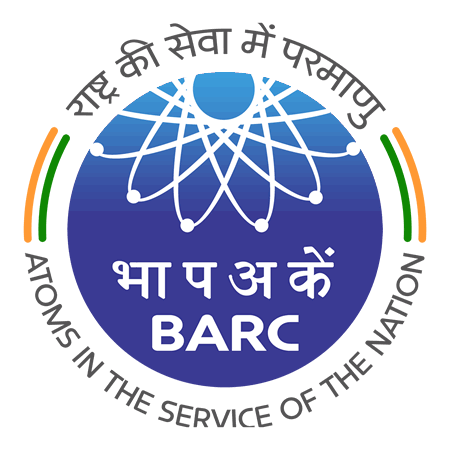 BARC Recruitment 2019 - Job notification for Trade Apprentices Posts in Department of Atomic Energy, BARC, Mumbai, Maharashtra. Applications are invited by Bhabha Atomic Research Centre on or before 22 Mar 2019 for 6 vacancies. BARC Recruitment 2019 - Scientific Assistant (Radiographer) Post in BARC, Mumbai, Maharashtra. Candidates are invited by Bhabha Atomic Research Centre to attend walk-in-interview to be held on 26 Feb 2019 02:00 PM for 1 vacancy. BARC Recruitment 2019 - Walk in for Post Graduate Resident Medical Officer Posts in Department of Atomic Energy, BARC, Mumbai, Maharashtra. Candidates are invited by Bhabha Atomic Research Centre to attend walk-in-interview to be held on 20 Feb 2019 10:00 AM for 10 vacancies. BARC Recruitment 2019 - Physiotherapist Post in Medical Division, BARC, Maharashtra on Locum Basis. Candidates are invited by Bhabha Atomic Research Centre to attend walk-in-interview to be held on 16 Jan 2019 at 02:00 PM for 1 vacancy. BARC Recruitment 2019 - Walk in for CSSD Technician Post in Medical Division, BARC, Maharashtra on Locum Basis. Candidates are invited by Bhabha Atomic Research Centre to attend walk-in-interview to be held on 16 Jan 2019 at 02:00 PM for 2 vacancies. BARC Recruitment 2019 - Job notification for Neurosurgeon Post in BARC, Maharashtra. Applications are invited by Bhabha Atomic Research Centre on or before 28 Feb 2019 for 1 vacancy.